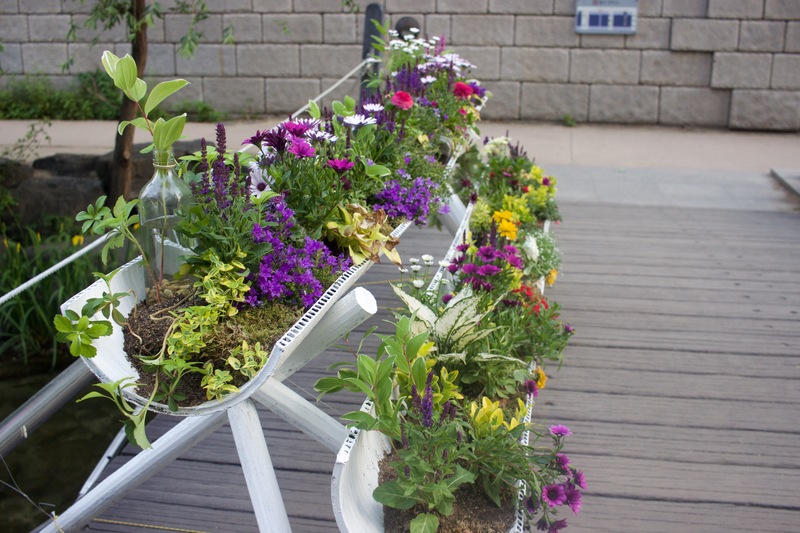 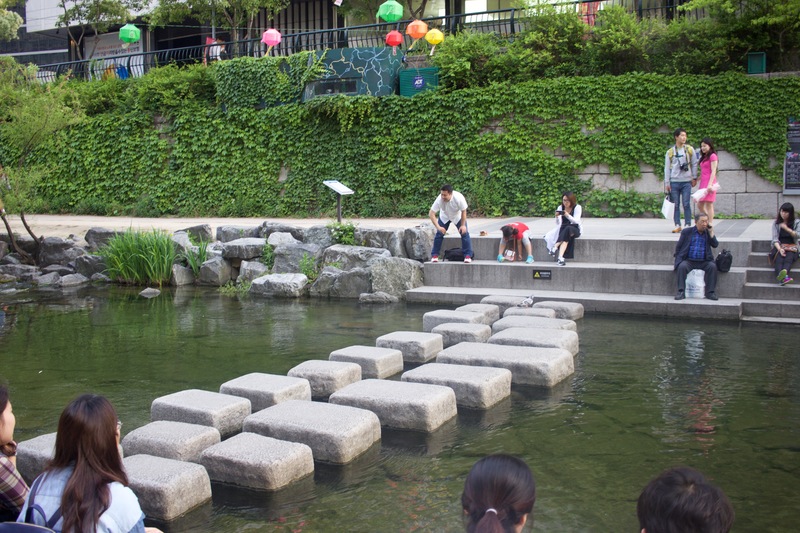 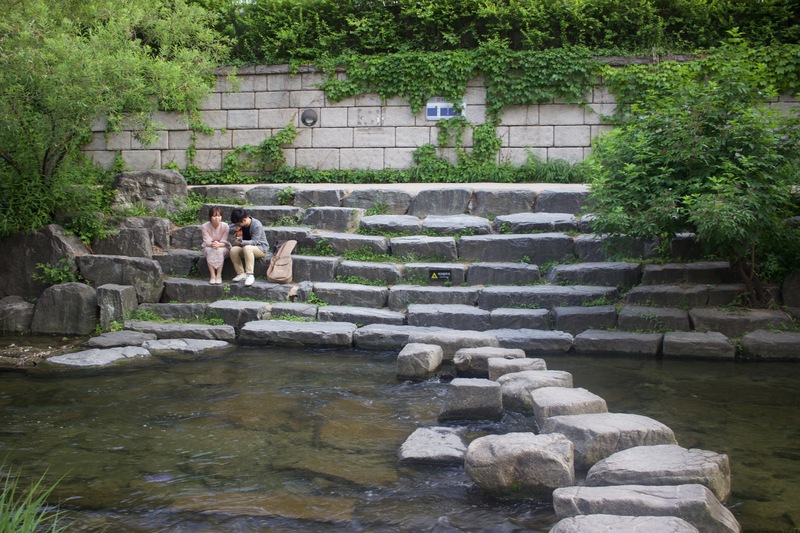 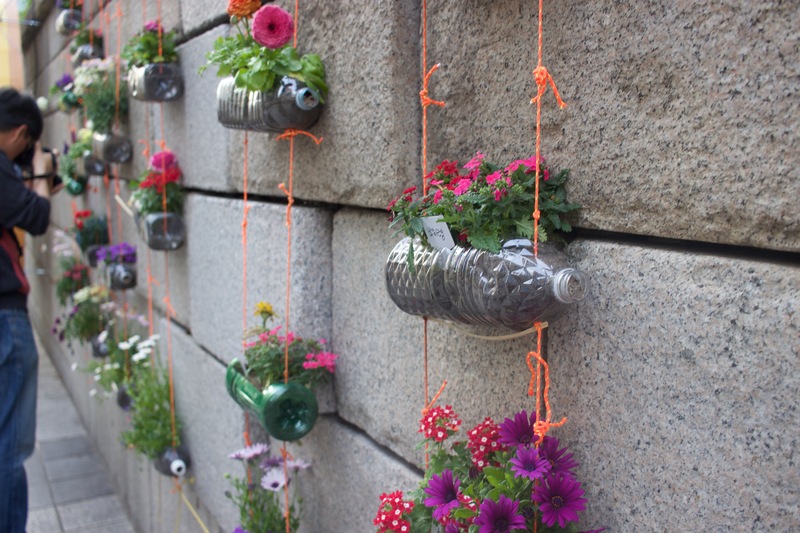 Taking a stroll along 10.9 km long Cheonggyecheon Stream can help clear one’s mind. 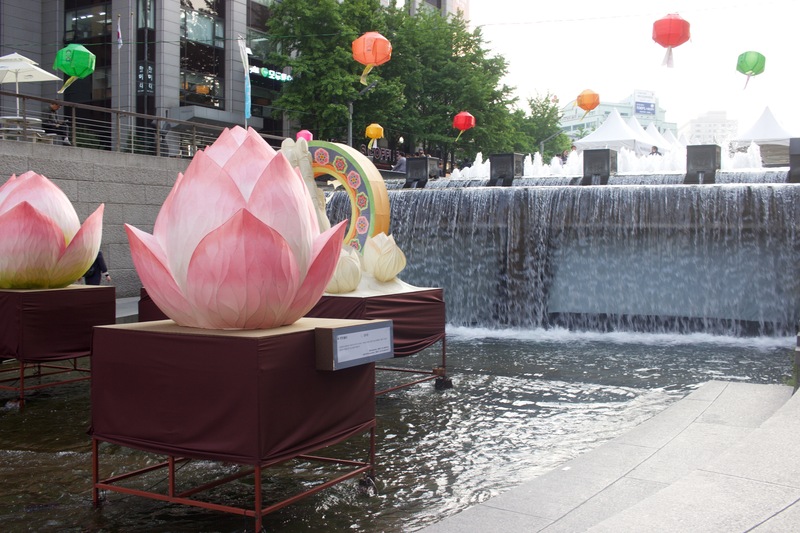 Running through downtown Seoul, you can enjoy the beauty of its nature at day or night. 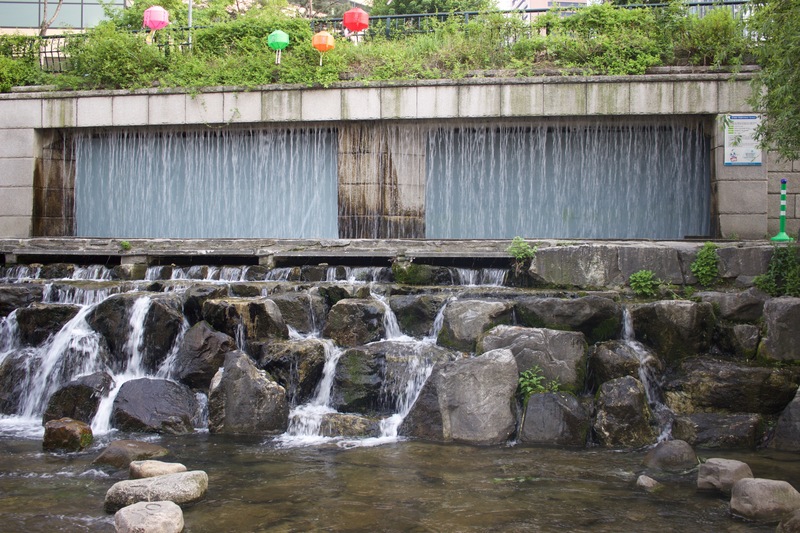 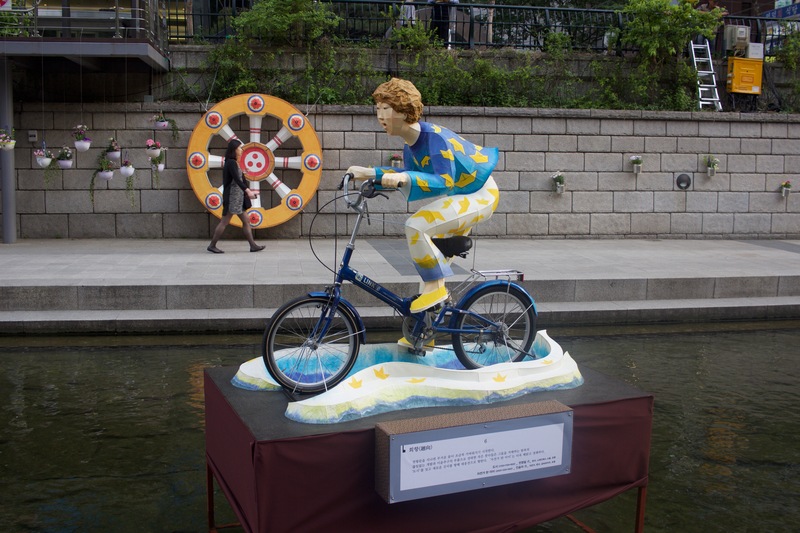 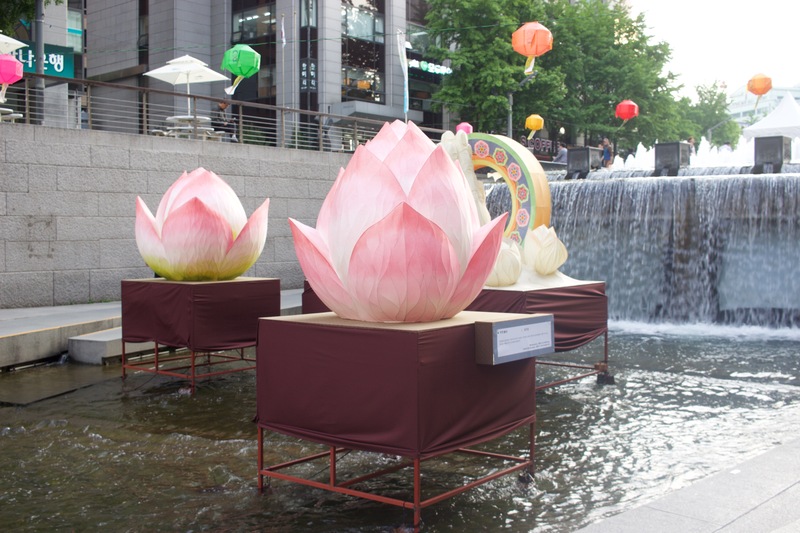 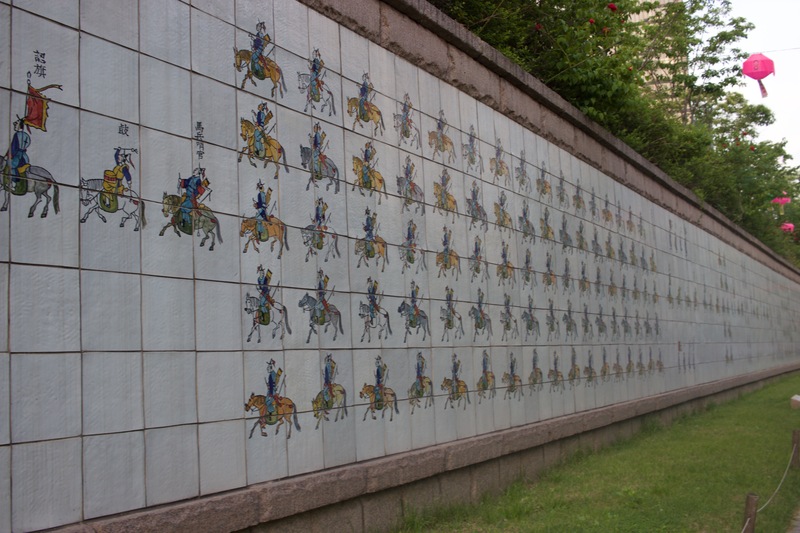 Sculptures, art can be found along the stream, with the main attractions near Cheonggye plaza are the cone like sculpture called Spring Tower and candlelight fountain best viewed at night. 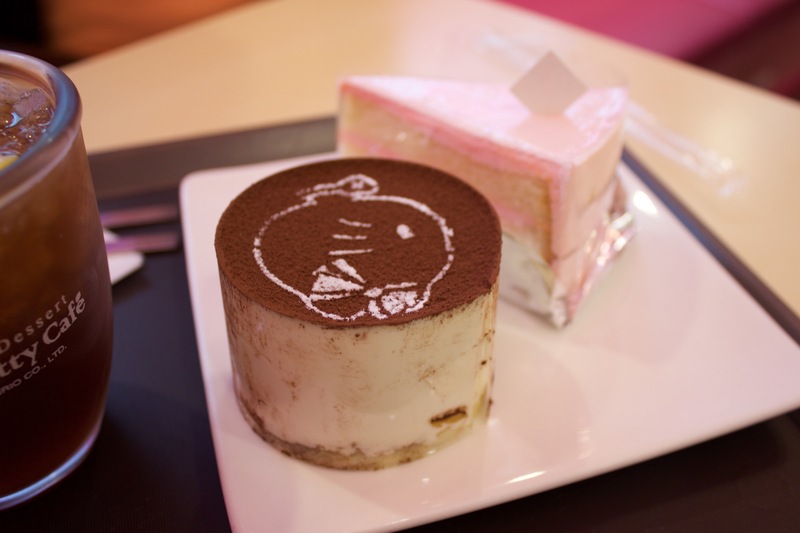 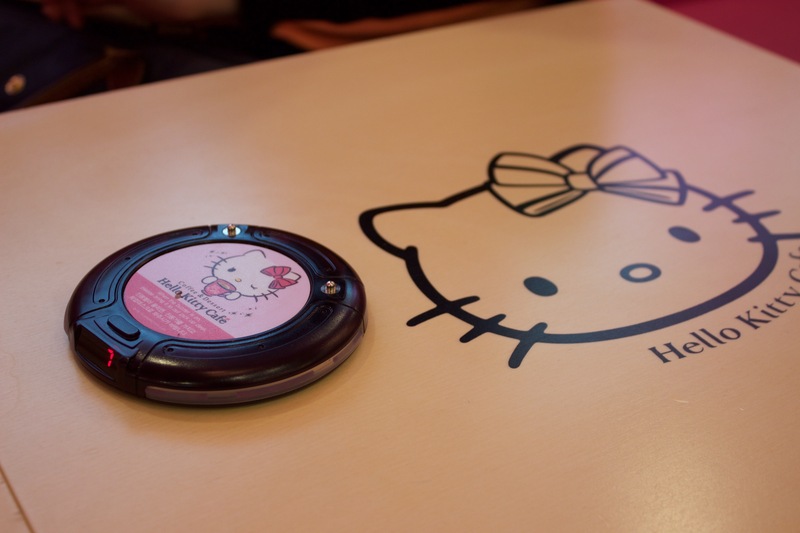 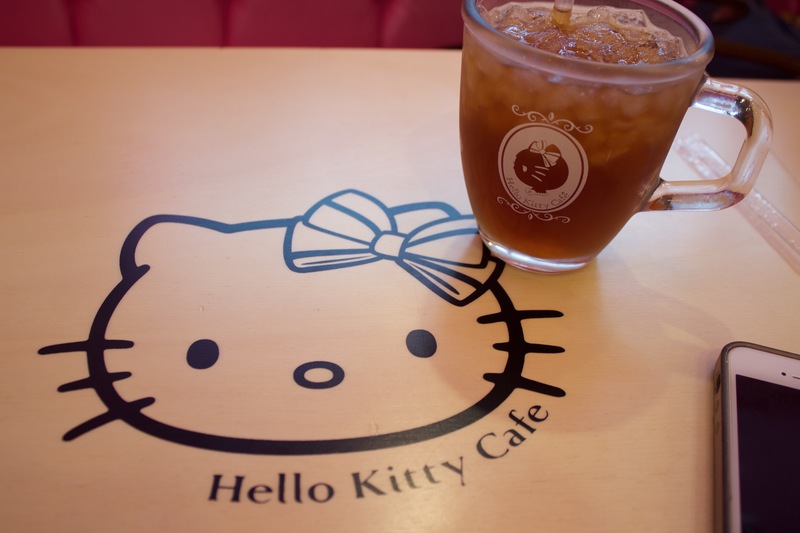 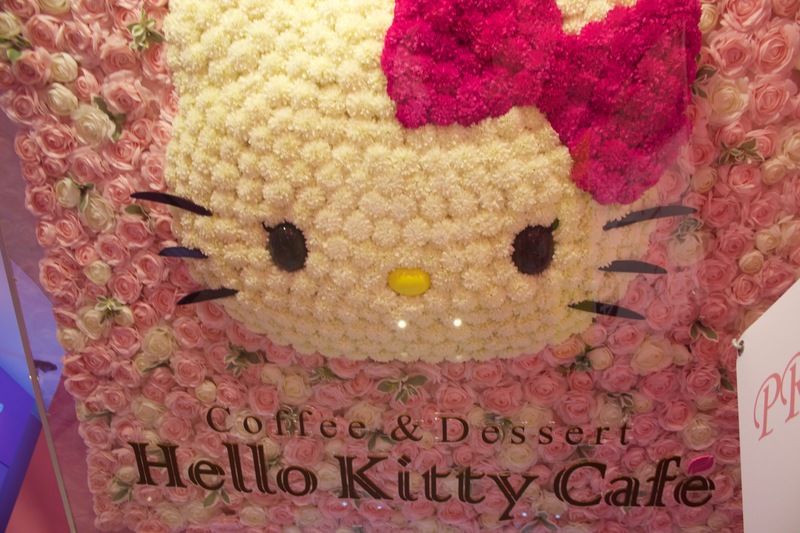 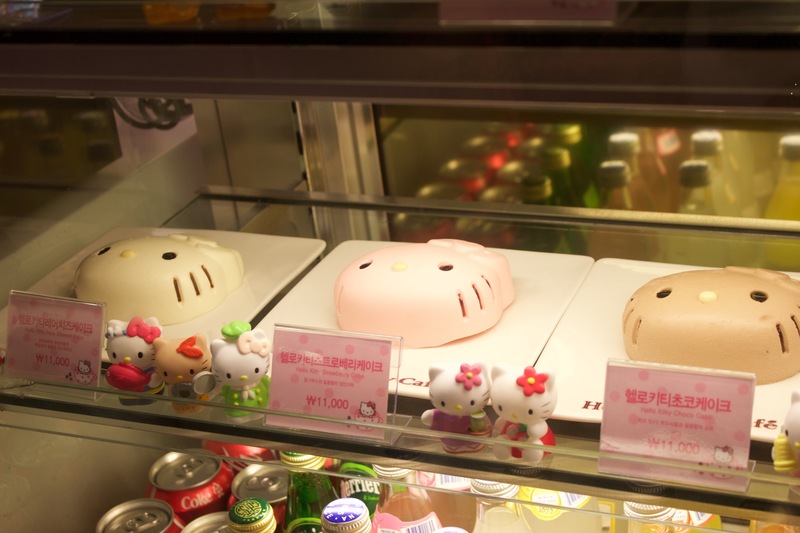 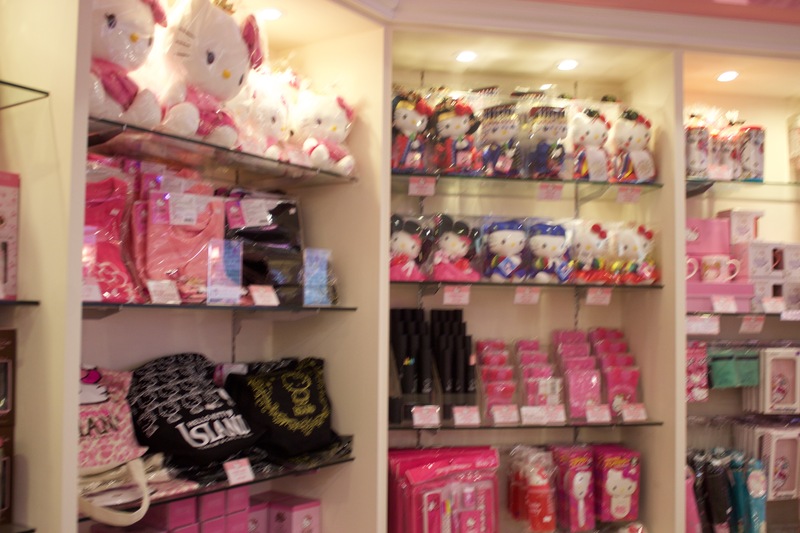 Ok so I did add Hello Kitty Café on the to go list. 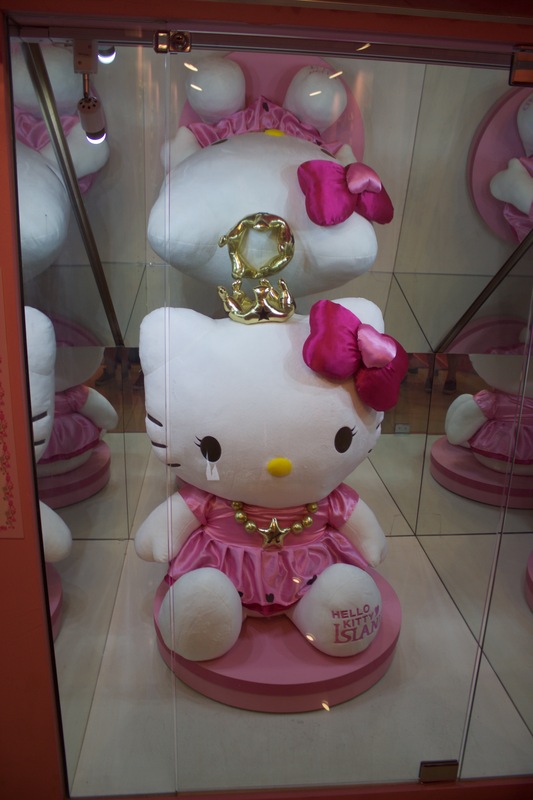 You never get too old for Hello Kitty as I love Sanrio characters ever since I was little. 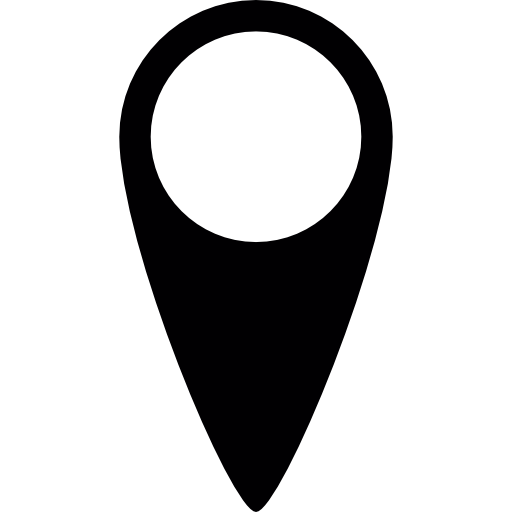 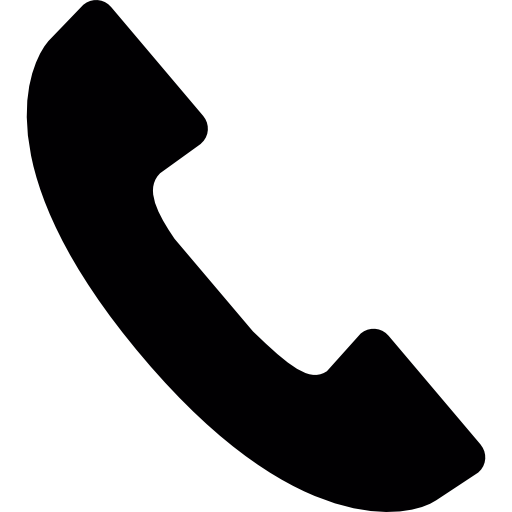 A google searched showed an old address. 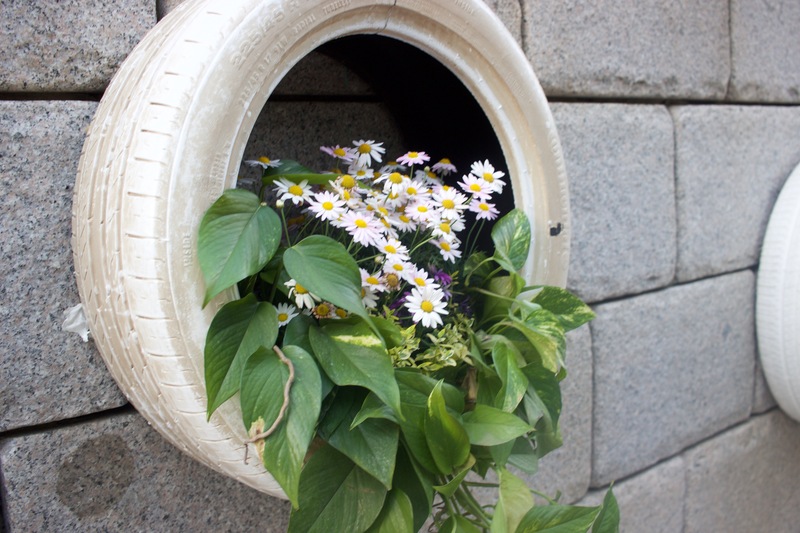 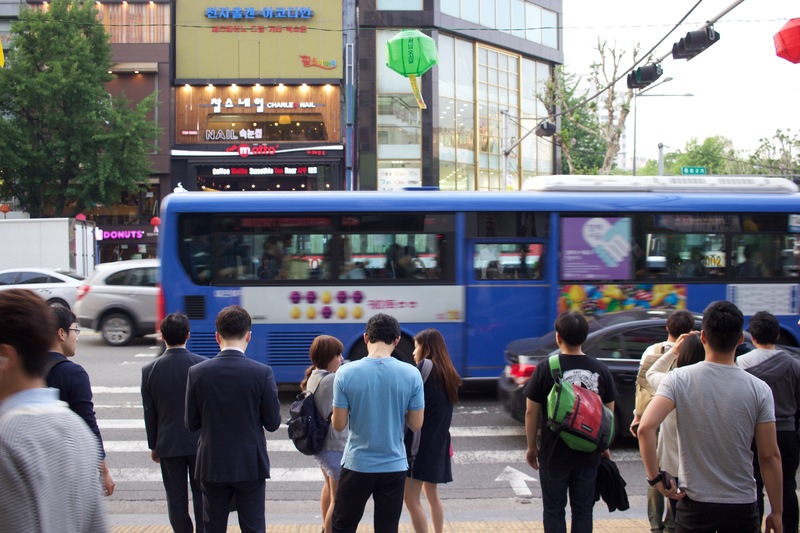 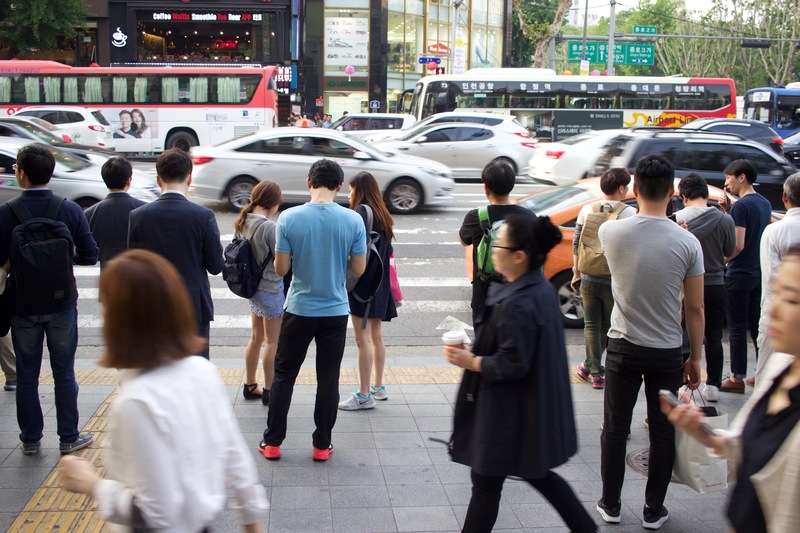 A new address in the Myeongdong area clearly stands out in the street. 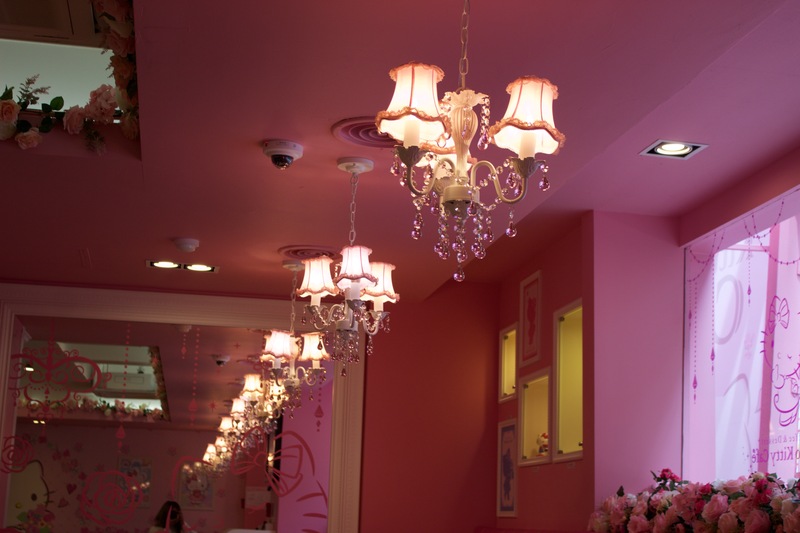 A pink staircase leading to the top of the café. 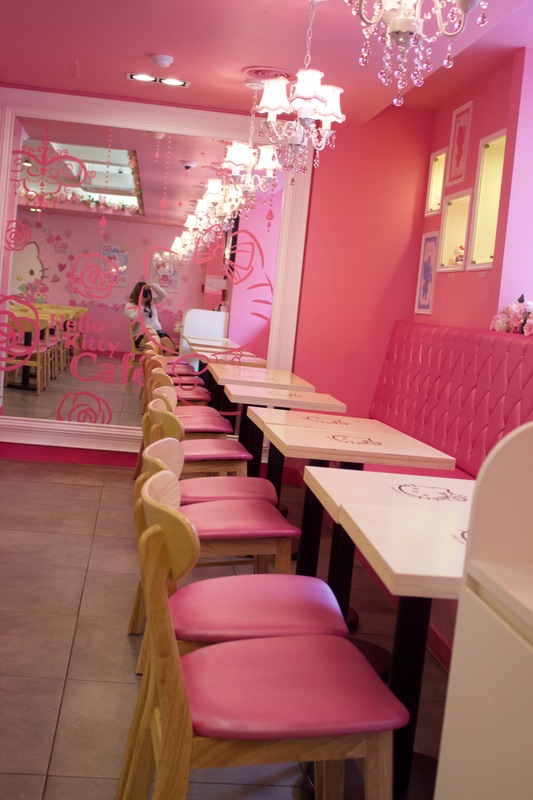 Everything is PINK PINK PINK as expected. 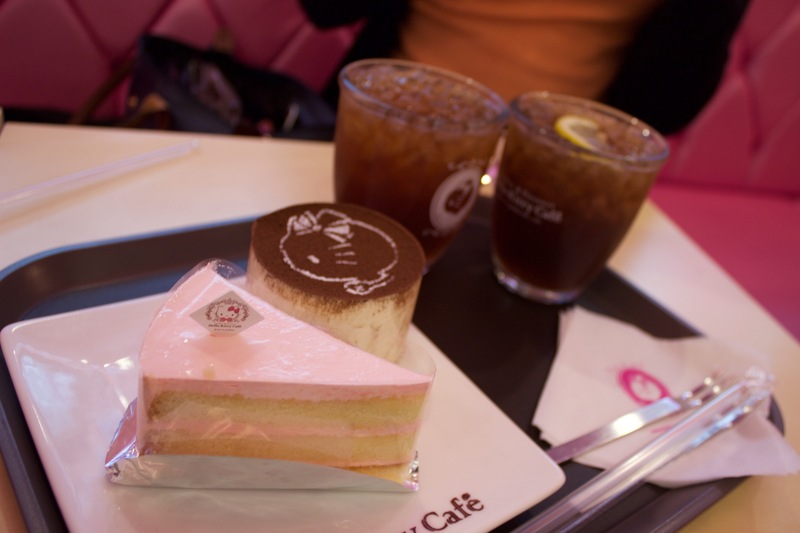 Offering a simple menu of cakes, tea and coffee. 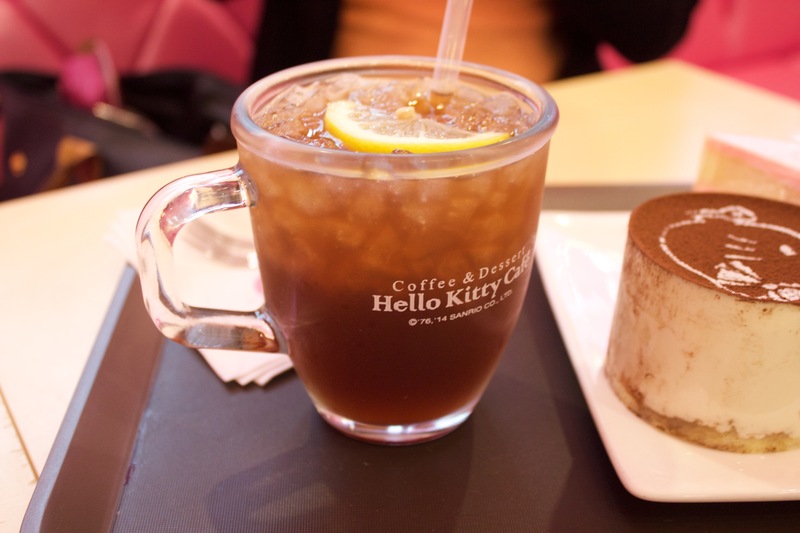 I opted for the tiramisu and ice tea and took a billion selfies. 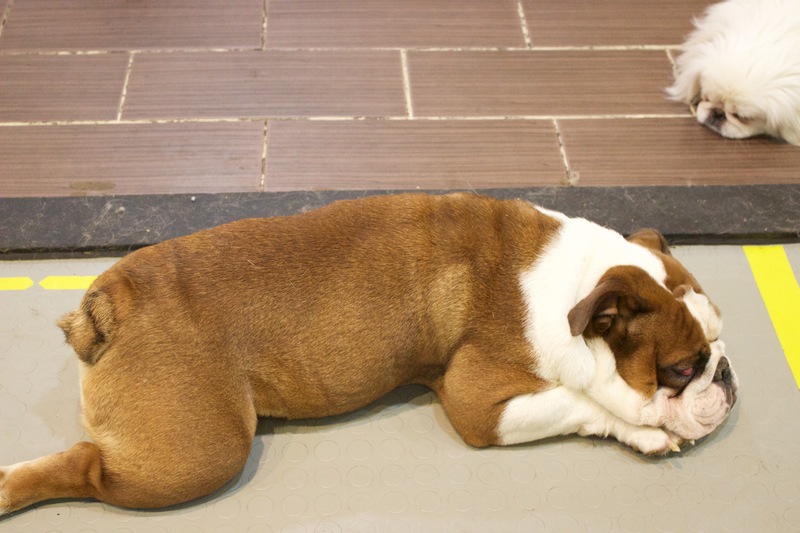 I love animals; it makes me happy seeing dogs wagging their tails and jumping on me to cuddle them. 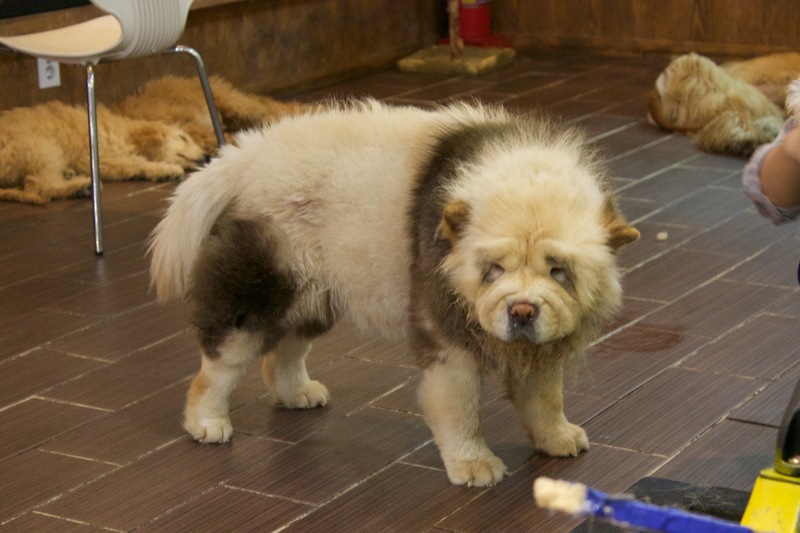 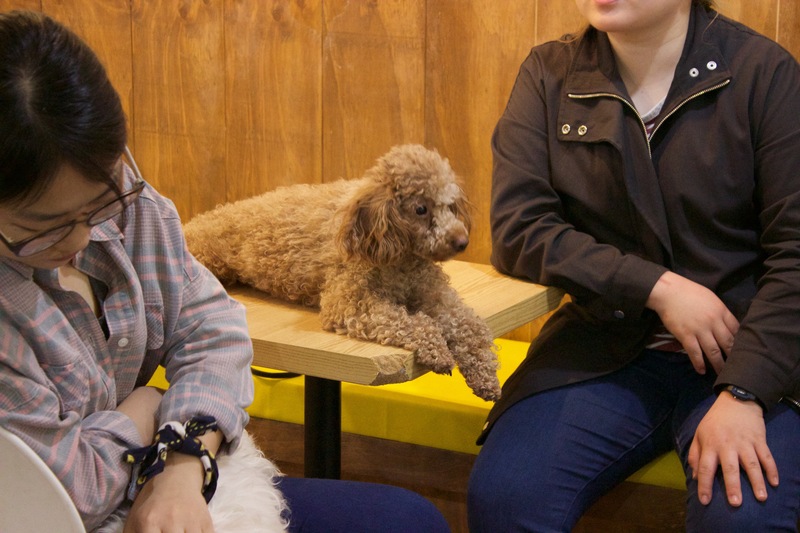 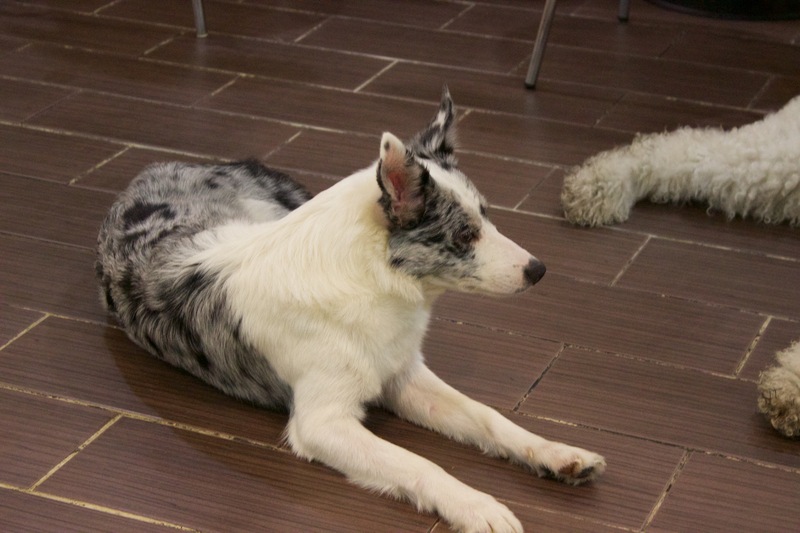 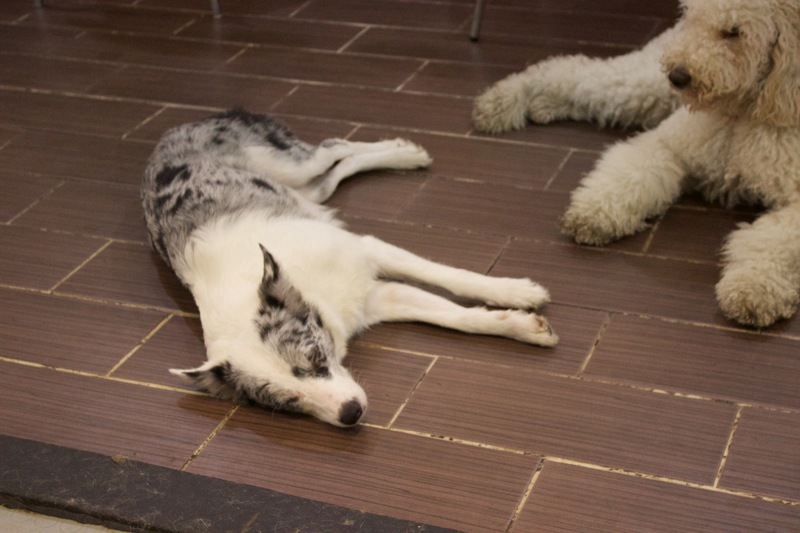 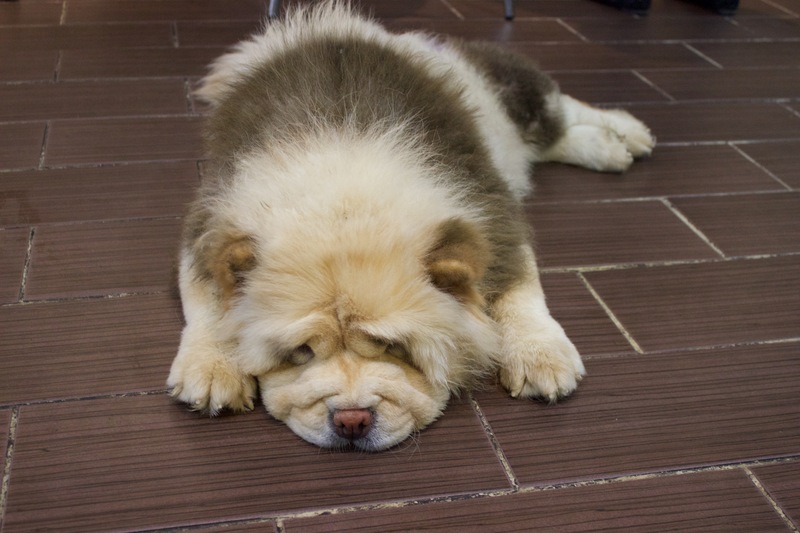 This time around we headed to a dog café in Myeongdong called Wonder Dogs. 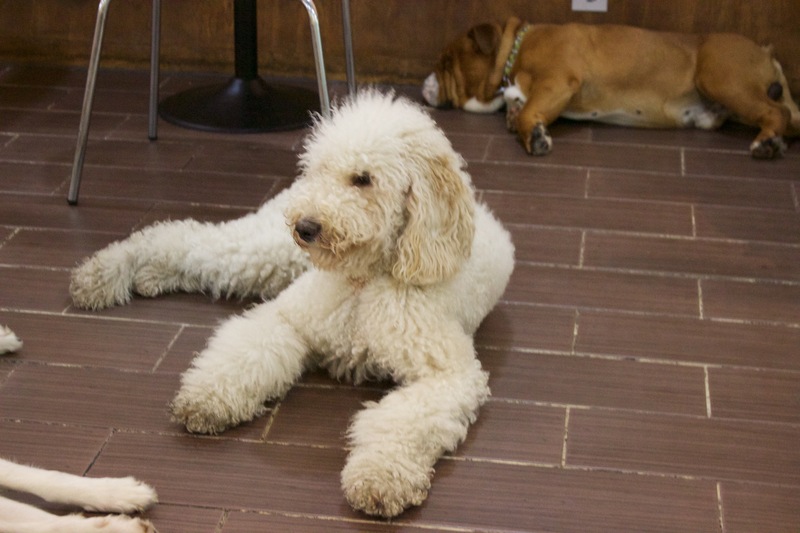 Most of the dogs were worn out when we visit expect for this one malte poodle. 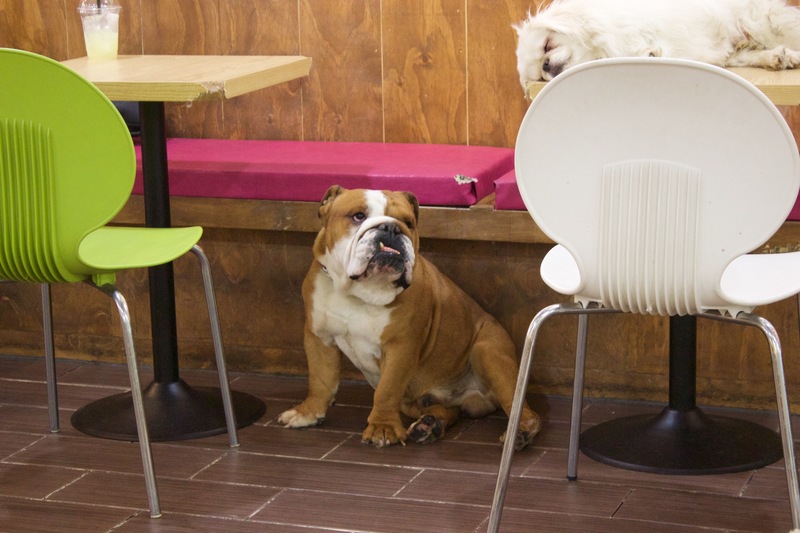 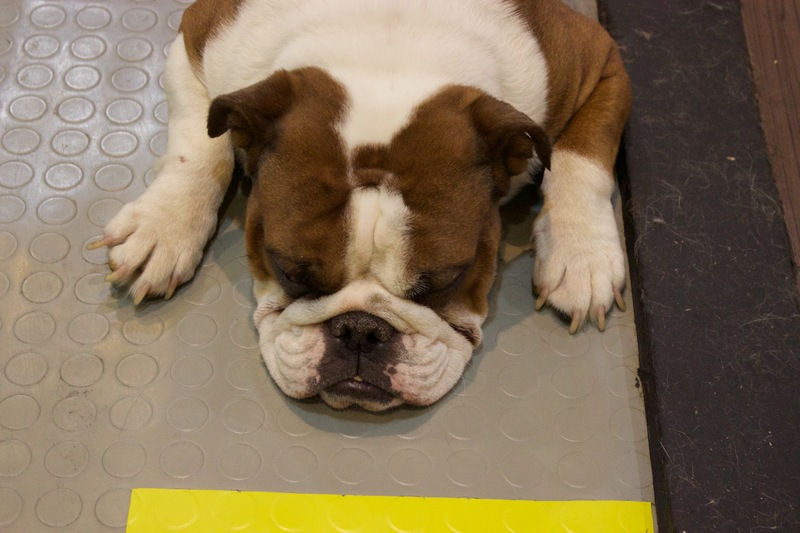 In the middle of the café there’s a skateboard set up and the resident bulldog will entertain you with its skating skills. 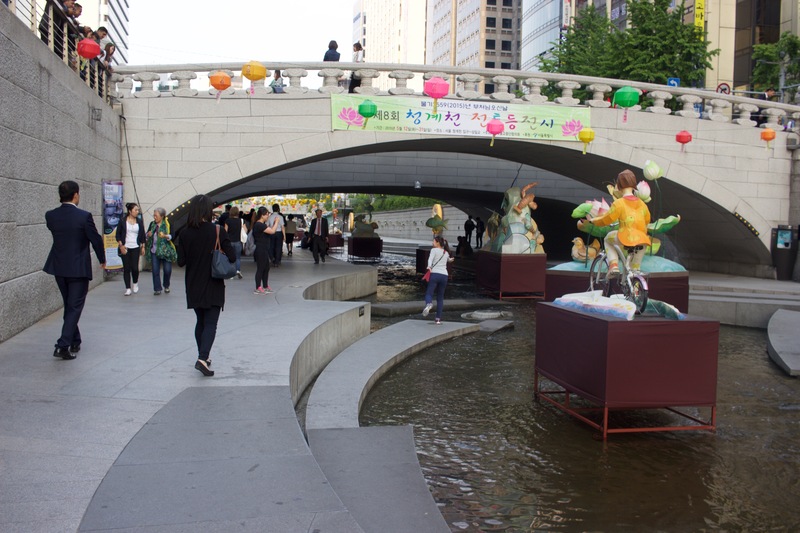 Heading back to Namdaemun Market for even more souvenir shopping. 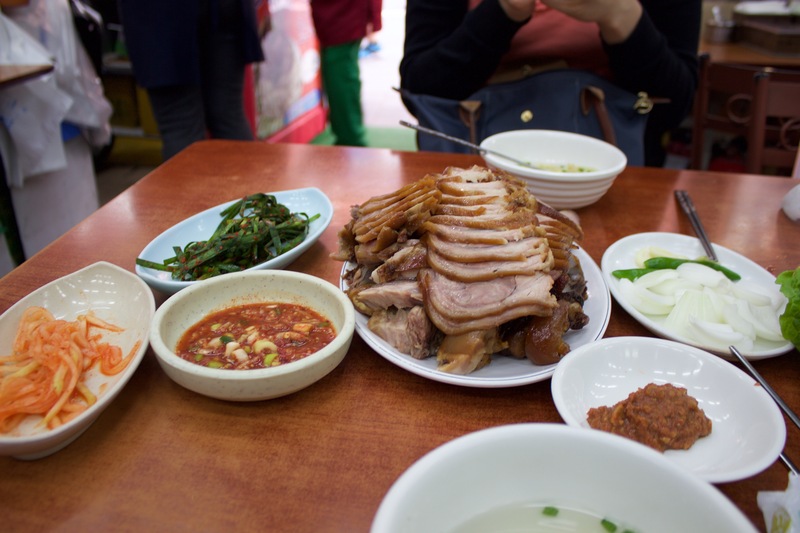 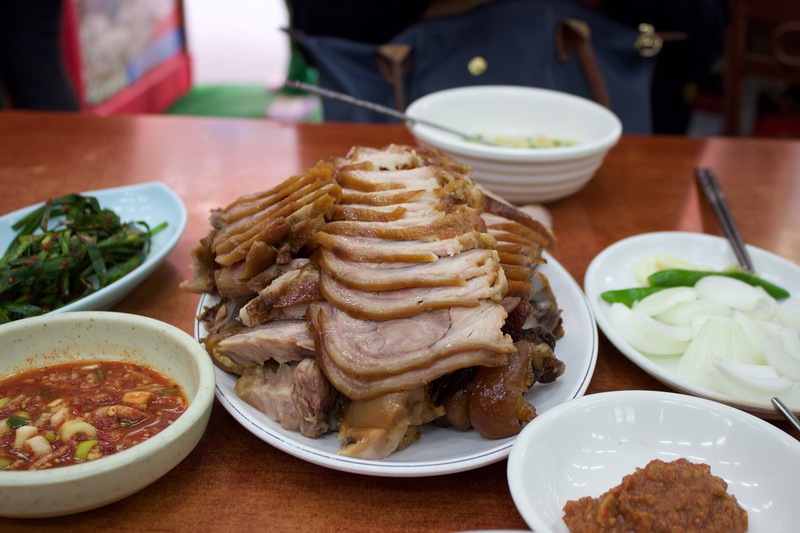 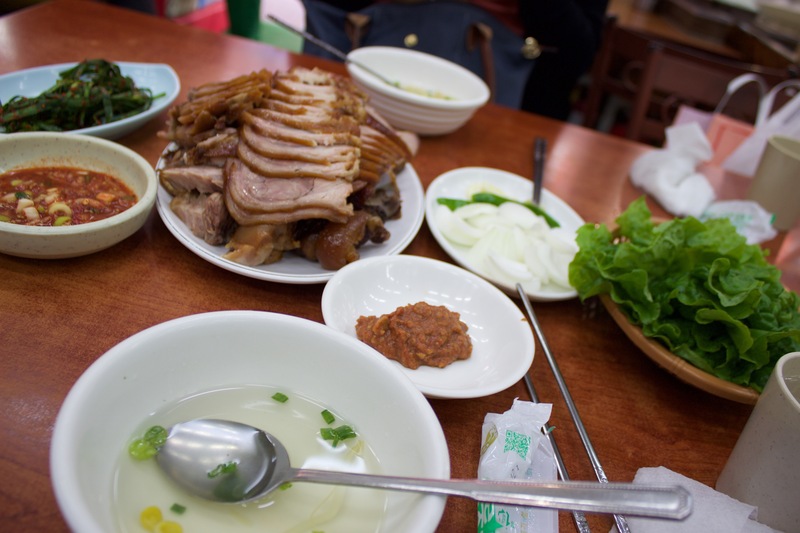 Jokbal pork hocks is a dish we wanted to try in Korea. 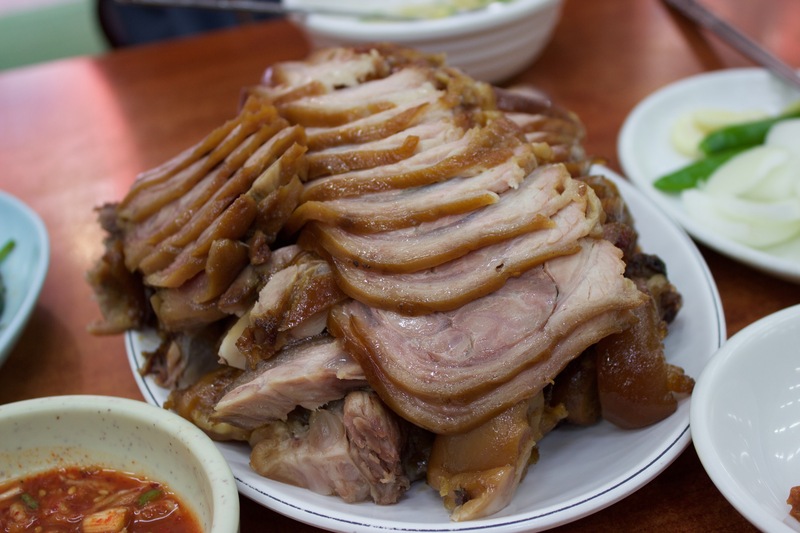 Usually cooked in soy sauce and spices served in large portions made to share.